Store & display your household essentials & family heirlooms in style with the Shaker style 36" wide bookcase from our Ashery Furniture Collection. 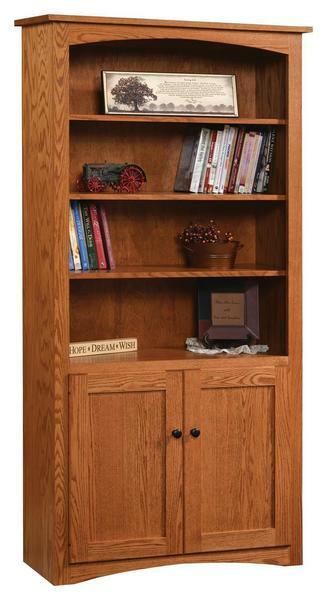 Handcrafted by talented Amish craftsmen this stunning hardwood bookcase is sure to become a product you will cherish for generations. Select the wood & finish that best matches your existing home furniture for a custom look you will love.